Offering you a complete choice of products which include forged electrical part and forged copper electrical parts. 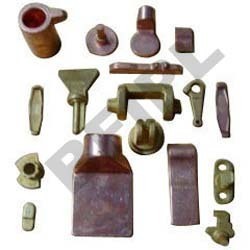 We are renowned manufacturers of Forged Electrical Part in India. Our customers from all over India recommend our electrical parts because of its high durability, tensile strength and resistance to various adverse conditions. High conductivity of our product has also made it ideal for various electrical applications. Further, meeting the exact requirements of the clients, the Electrical Parts are available in varied sizes and dimensions. These are available on very competent prices. 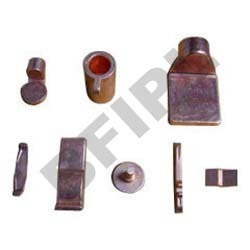 We make Forged Copper Electrical Parts which have attributes like excellent durability and reliability. The electrical parts are designed to suit a range of industrial and commercial electrical applications. Our brass electrical parts are known for their better functionality and power efficiency. We offer these parts at standard as well as customized specifications as per the needs of our client. Looking for Forged Electrical Part ?